Those chasing exclusive supercars to add to their collections could be in luck, as a 2018 Italdesign Zerouno heads to auction. Included in next week’s RM Sotheby’s Essen sale, buying the Zerouno would see the new owner join a club with just four other members. It makes the hand-crafted supercar substantially rarer than most established exotics, such as the Maserati MC12 or Audi R8 Decennium. That German comparison is important, though, as Italdesign Giugiaro become a subsidiary company of Audi and Lamborghini in 2010. It meant the Italian firm, originally founded in 1968 by car design icon Giorgetto Giugiaro, would have access to technology from the Volkswagen Group. So when Italdesign created an Automobili Speciali division to build limited-edition road cars, there was only one parts bin the company was going to raid. The dramatic styling was undertaken entirely in-house by Italdesign, with Filippo Perini responsible for the carbon fibre creation. 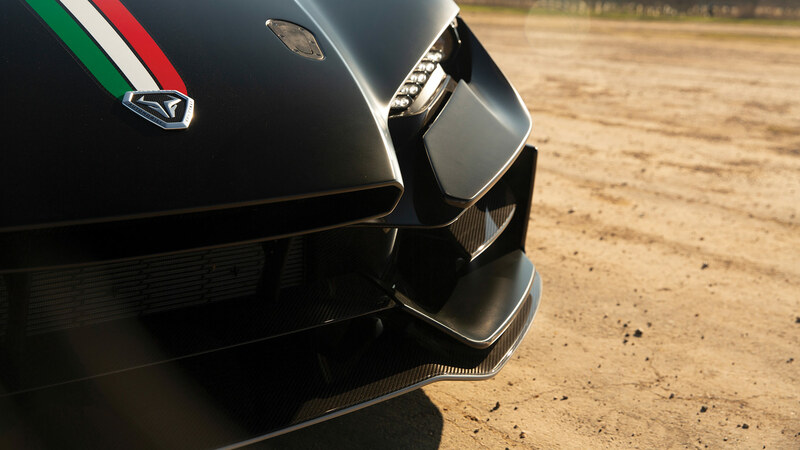 Lightweight material is used throughout, while the Zerouno includes a special ‘Y-duct’ to channel airflow for maximum downforce. 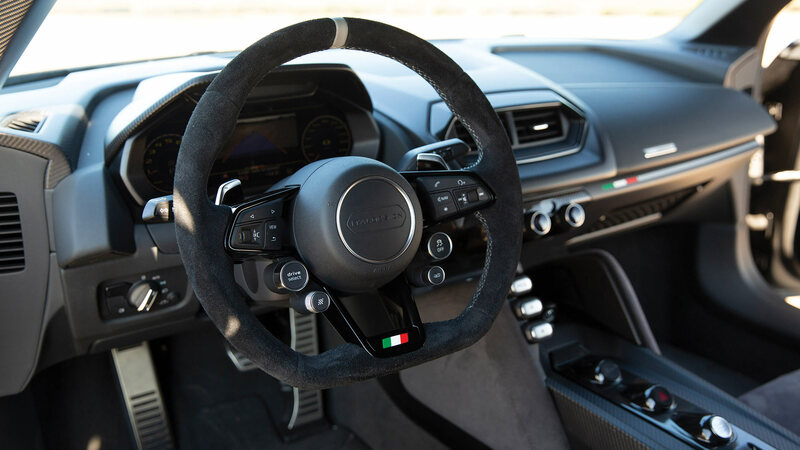 It probably comes as no surprise to learn that Perini also shaped the Lamborghini Huracan, and there are several elements on the Zerouno that would look at home on a car from Sant’Agata. 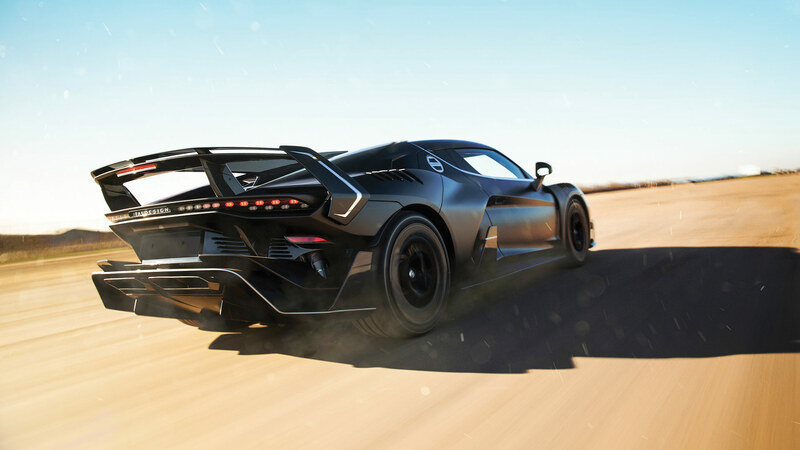 Powering the mid-engined Zerouno is another familiar face: the naturally aspirated 5.2-litre V10 used in the Audi R8 and Lamborghini Huracan. 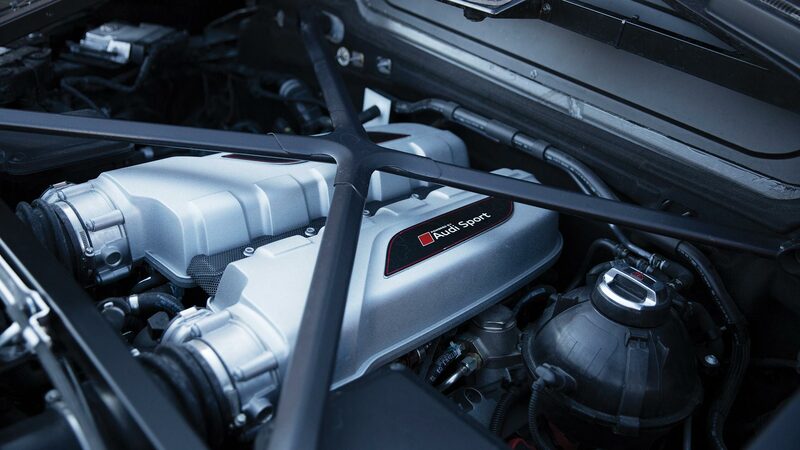 With 610hp and 413lb ft of torque, there are certainly worse engines to borrow. 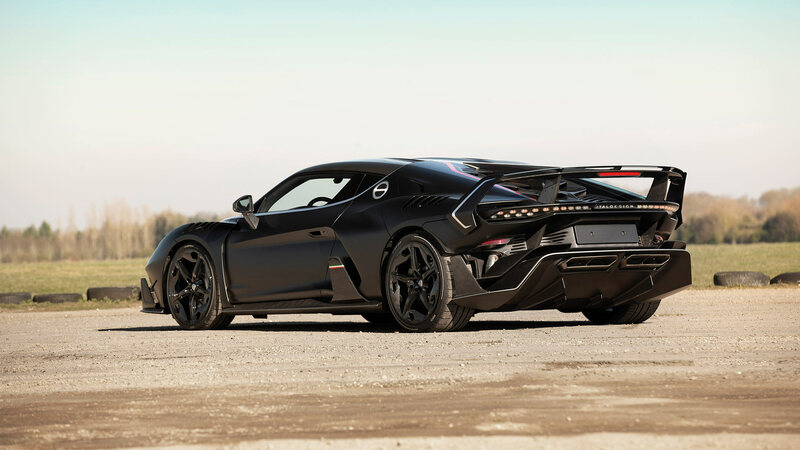 It helps the four-wheel-drive Zerouno sprint to 62mph in 3.2 seconds, with a top speed of 205mph. A seven-speed dual-clutch gearbox, with paddles mounted on the steering wheel, will also be familiar to fans of Audi and Lamborghini cars. The interior is also instantly recognisable, making use of the cabin architecture found in the Audi R8. This does mean an effective digital instrument display, flat-bottomed steering wheel, and huge swathes of carbon fibre trim throughout. Each of the five Zerounos was custom-designed to suit their individual buyers, with no limits on paint choices or interior options. 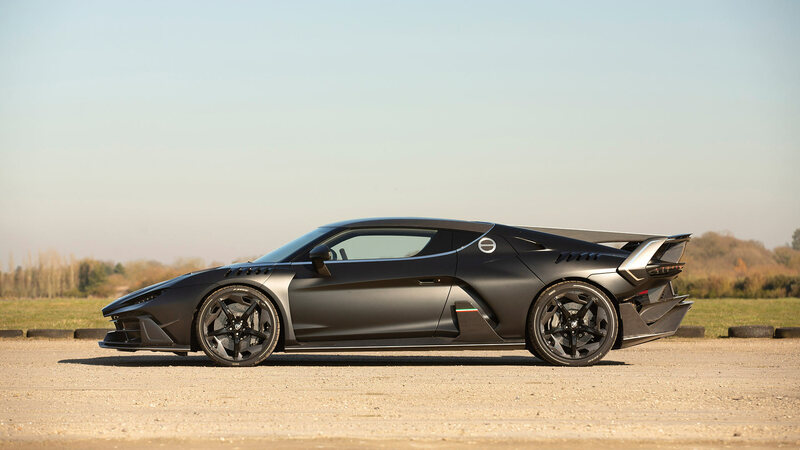 This car up for auction, finished in stealth matte paint, was the last of the five to be produced, and was ordered by the man known on social media as ‘TestaRossaSam’ or @mwvmnw. 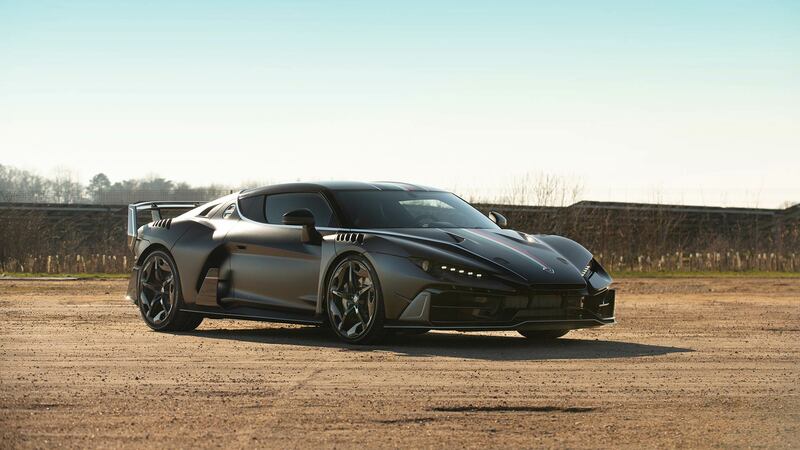 The Zerouno was just one of many rare supercars in his collection, and has covered only a handful of miles from new. As a result, RM Sotheby’s describes the car as being offered in virtually ‘as-new’ condition. With an estimated sale price of £812,000 to £1.28 million ($1.07m to $1.69m), those being unkind could view the Zerouno as a very expensive way to buy an Audi R8. However, the hand-made nature of the car, the historic lineage of Italdesign, and the sheer fact it stands out in a crowd are likely to make it desirable to those at the RM Sotheby’s Essen sale. Heading across the auction block on Friday 12 April 2019, the Zerouno will be surrounded by an impressive collection of ‘Youngtimer’ modern classics.